Living in multiple cats, not to mention a multiple pet household is one of the most rewarding things that anybody can ever experience. But if you are like me and have grown up in multiple cats and multiple pet house, you would know that the problem with loose cat hair is a nightmare. They get stuck in couches, stairs, carpets, coats, rugs, and almost anywhere. Pet hair if not properly managed can help trigger allergies and asthma flare-ups. In this case, vacuum for cat hair comes handy. There are some vacuums that were made specifically for cat hair and we are going to review the best of them. While grooming is an essential part of cat hair management, you can only do so much of it and by nature, all animals with long hair or fur must shed some. In comes, vacuuming. Vacuuming has come a long way from the noisy bulky machines of old to the powerful, cordless, silent ones available in the market today, to the self-charging, floor mapping robot vacuums that are coming out in the market now. First on the list is a powerful handheld vacuum for cat hair from Bissell, one of the more popular brands in the market today. This particular model uses lithium ion, and its other counterpart uses a NiMH battery, the difference mainly is that the lithium-ion has a longer battery life as compared to the other one. The BISSELL Cat Hair Eraser boast of a triple-level filtration and comes with specialized tools such as the motorized brush tool, upholstery tool, and crevice tool. For something so powerful the BISSELL Pet Hair Eraser is quite portable coming in at around 4.5 x 16 x 5 inches (length x width x height) and also on the lighter side at around 4.25 pounds. It is a great and powerful handheld vacuum, that does the job perfectly each time, plus you can keep it in your car or in the office or somewhere handy. 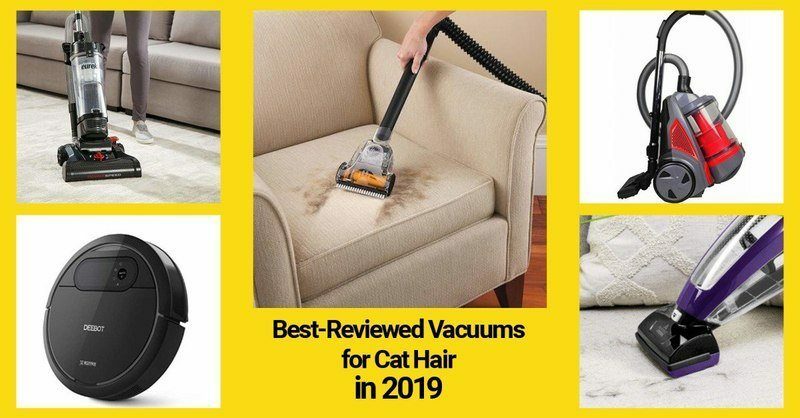 Many reviews say it is the best hand vacuum for cat hair. My only gripe with is its unpredictable battery life and paper filter. Some charges can have as much as 35 minutes on it, while sometimes it will just run for about 15 minutes. We do not know if it is an issue with the unit that we got or just a charging mistake from our end. The paper filter is also impossible to get on its own, we hope Bissell will start selling paper filters on their own. You have to get the whole filter assembly if you want to replace the paper filter. It is not that big of a deal but we feel like it is a waste of plastic parts. The Eureka NEU180B is everything it says in its name. It is lightweight, quite powerful, stands upright and as a bonus, can be used for cleaning high places and not just fur. It has varying height adjustment and is great for rugs, tiles and hardwood floors. One of its main selling points, in my opinion, is that fact that it is a bagless vacuum, which requires less maintenance and operates without the frequent need to emptied and reset. You just have to remove and rinse the washable filters every once in a while. The low maintenance aspect of the Eureka NEU180B is greatly increased with the extra-large dust cup that is compatible with the system. And this is huge advantage for vacuuming cat hair. Like I mentioned above it ships with an extra-long extension for the crevice tool, dusting brush, and upholstery tool which can all be stored on board Eureka NEU180B itself. It is quite bulky and heavy though coming in at 13.4 x 13.8 x 44.5 inches and a respectable 15.6 pounds. 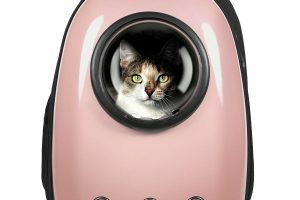 Next on our list is one of a couple of new-age robotic vacuums for cat hair. The ECOVACS DEEBOT N78 Robot Vacuum Cat Hair Cleaner comes with a Smart Navi 2.0 system, which draws a Systematic Mapping Cleaning path around your house. It is quite south of the pricey end for a vacuum but if it has Wi-Fi Connectivity and compatible with Alexa, then that is a game changer right there because you do not have to babysit the robot when it is working, unlike the cheaper brands. Using its Smart Navi 2.0 system, the ECOVACS DEEBOT N78 Robot Vacuum Cleaner maps out your home and creates a cleaning path. You can directly control it to clean, schedule it to clean on its own or update itself. The ECOVACS DEEBOT N78 Robot Vacuum Cat Hair Cleaner suction has two setting and is quite formidable with a 110-minute battery life, plus it auto-returns to its post every time to self-charge when not in use. The automated nature ensures that the system is non-intrusive and easy to maintain. As I said, you do not have to babysit the ECOVACS DEEBOT N78 Robot Vacuum Cleaner not just because of its Auto-Clean Mode but because it has high tech anti-drop, anti-collision sensors and protective bumpers all mounted on large wheels that help it climb above rugs and carpets without getting stuck. It is surprisingly small and light given all its features coming in at 13.9 x 13.9 x 3.3 inches and just 7 pounds. On today’s market, it’s definitely one of the best robot vacuums for cat hair. 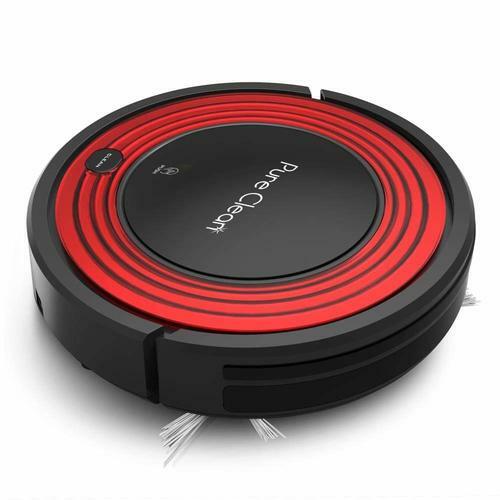 Here is another robotic vacuum cleaner, the Pure Clean Robot Vacuum Cleaner. This vacuum features an automatic HEPA Filter and like the ECOVACS DEEBOT 711 it also automatically cleans your home and has an auto-detect system for walls, bumps, and even stairs. The automatic vacuum cleaners HEPA filter is great in keeping dust and hair particles off of the floor and is guaranteed to not get stuck when cleaning hair from dogs and cats despite is rotating underbrush design. It is quite compact with its small 0.2-liter dustbin capacity and 11.0 x 11.0 x 2.9-inch dimension, it runs on a Ni-MH 14.4 volts, 850 mAh in an average vacuum operation run-time of 55 minutes. For something so small, the battery life is not actually the best in my opinion, but it is perfect for medium size houses and small apartments. Unlike the ECOVACS DEEBOT 711 where it has a Smart Navi 2.0 System, the Pure Clean Robot Cat Hair Vacuum Cleaner has three patterns that it works with auto or random, spiral and edge to edge cleaning. 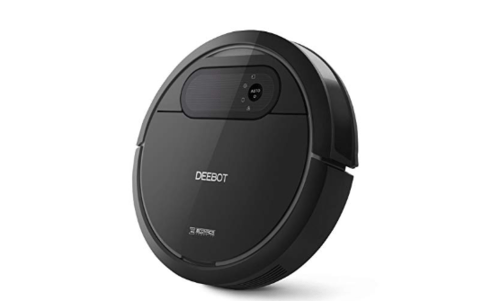 I know that is different and sounds far less impressive than the ECOVACS DEEBOT 711, but for less than a hundred dollar, the Pure Clean Robot Vacuum Cleaner is holding up its own price and purpose wise. 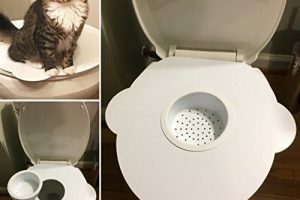 In my opinion, it is the best robot vacuum for cat hair in this list. Perhaps one of the more compact but packs a lot of power in the list is the Homever 2 in 1 Handheld Vacuum for Cat Hair. It is basically a handheld car vacuum that packs so much power you can add an extension and a handle that it becomes a regular handheld, cordless vacuum. You can say that it punches up and out of its own division. The Homever 2 in 1 Handheld Vacuum for Cat Hair is powered by a 25.6-volt Li-ion Rechargeable Battery, has a HEPA Filtration and can run up to 18-25 minutes even on high power. 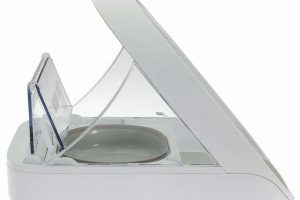 The HEPA filters are removable & washable and according to the makers, the double design helps trap 99.9% of dust, hair, and allergens inside the vacuum. To clean the filters, just remove them, dump the contents of the dust container and rinse with water, then hang them out to dry. 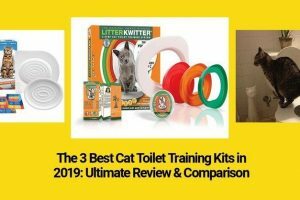 If you have been to a professional cat grooming salon or your vet offers grooming services, chances are you have seen the Penn Plax VacGroom Cat Hair Grooming Vacuum Kit. It is one of the most used pet grooming kit by professionals out there. Not only is it great for dogs and cats, but it is the best for furniture and carpets as well. Part of the popularity of the Penn Plax VacGroom Cat Hair Grooming Vacuum Kit is its very long reinforced hose measuring up to 46 inches. This way the nozzle is far from the noisy machine making it less scary for our pet cats and dogs if it is even scary at all. It has a direct, adjustable cat comb comes with three different lengths to perfectly suit your cat’s coat. You can now brush your pet’s fur and at the same time vacuum and collect dirt, hair, pollen or anything that might be in their fur. It is fairly small and light coming in at 3.5 x 6.3 x 9.8 inches and weighing approximately 1.3 pounds.Plus the Penn Plax VacGroom Cat Grooming Kit offers a 100% money back guarantee if you are not satisfied with their product. MOOSOO M Cordless Vacuum For Cat Hair is a lazy man’s dream. If you have tons of pets and get annoyed by stubborn hair and fur in your clothes and in your furniture including your car, then this is the vacuum for you. 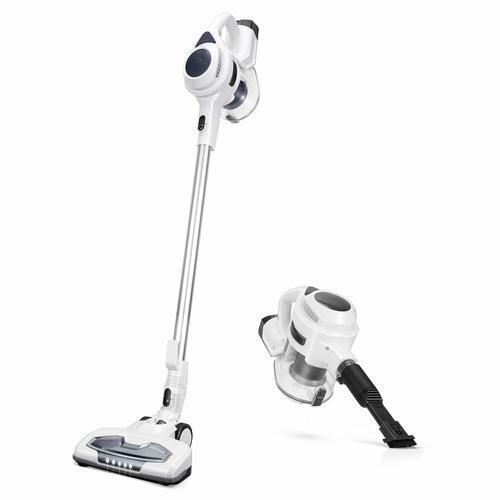 The 2 in 1 Stick Vacuum design with its high 15 Kpa strong suction, handheld and cordless features in a lightweight, easy to clean bagless design is for every lazy man’s dream. It is best if you want two functions for it, like for your home or for your car. The brushless motor, powerful suction, and 2500mAh capacity rechargeable lithium battery provide up to 30 minutes cleaning. What we did with our MOOSOO M Cordless Vacuum For Cat Hair was keep a fully charge one in the car and swap it with the usually fully charged one at home. Like the strongest vacuums featured here, the MOOSOO M Cordless Vacuum For Cat Hair features a HEPA filter, but the difference with this one is it’s a cyclone, honeycomb and high-density combination making it a more accurate filter for small particle cleaning. 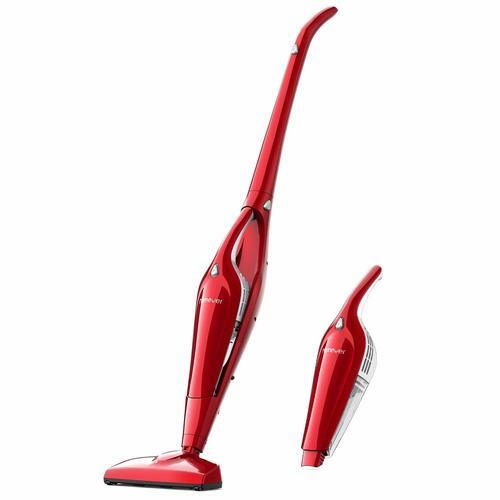 What I also liked about the MOOSOO M Cordless Vacuum Cleaner is that it has an unusually large bag for something that is so compact, with a 1.2L large dust canister. It also features a simple, single button release making it easy to empty. It is so easy, you would not even need to clean or wash your hands after. One thing to remember about the MOOSOO M Cordless Vacuum Cleaner, make sure to clean the brush, filter and dirt receptacle as often as you can, along with the detachable HEPA filters. Overall length with the nozzles and hose attached is 49 inches, with a width of 9 inches and height of about 10 inches. Considering all that comes with it, it is still on the light side at 3.5 pounds. It’s one the best cordless vacuums for cat hair. 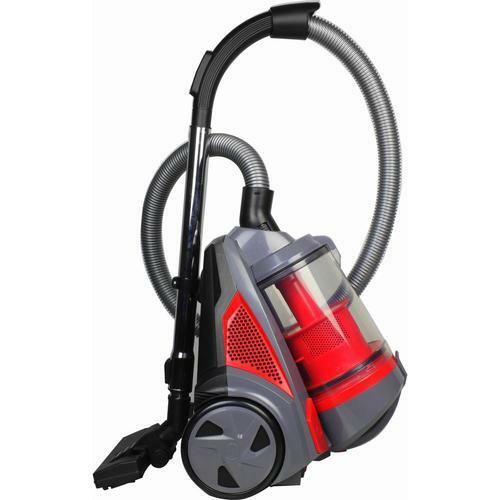 The Ovente ST2620R Bagless Canister Cyclonic Vacuum is one of the most jam-packed with features in the list. 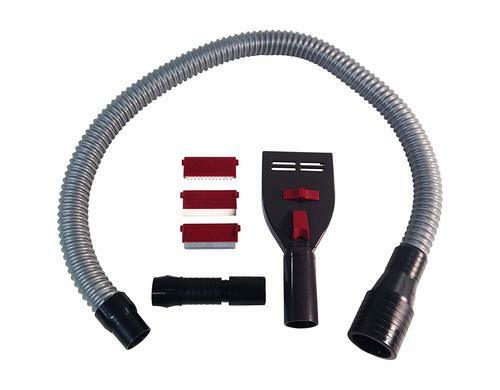 Among the features that are common with the other vacuums here are the HEPA Filter, multiple nozzles like the pet and sofa, bendable, multi-angle, crevice nozzle, bristle brush and more importantly a distinct feature that I simply love a Featherlite retractable cord. Aside from that, all the features of the other vacuums listed here, the Ovente Cyclonic Vacuum also has. It comes in at a sturdy 15.7 inches x 11.4 inches x 13.4 inches, with a retractable cord length of 5 meters and a huge canister capacity of 3 liters. Weighing in at a respectable 13.2 pounds. If you are looking for the best vacuum for cat hair on carpet you should consider this one. The Hoover T-Series specifically the UH30310 series has a unique P.A.W.S Technology. P.A.W.S is a Pet Approved Windtunnel system with Windtunnel Technology removes embedded dirt and minimizes blowback and scatter on carpet. Aside from a HEPA filter, it also utilizes a carbon filter for odor absorption. 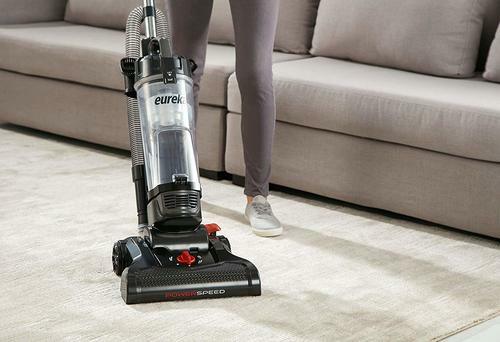 Another unique feature of the Hoover Cat Vacuum is its multi-floor brushroll and an additional cat tool pack which has a pet turbo tool for house furniture and a pet upholstery tool designed specifically for cat hair in furniture, carpets, and rugs. You can easily switch from carpet to hard floors with just the press of a pedal with the brushroll system. It has 12 feet of extension for hard to reach locations and a 10-inch hose, along with a 27-inch cord length with 5 position height adjustment. Oh, and did I mention that the cord is a retractable cord? Because it is. 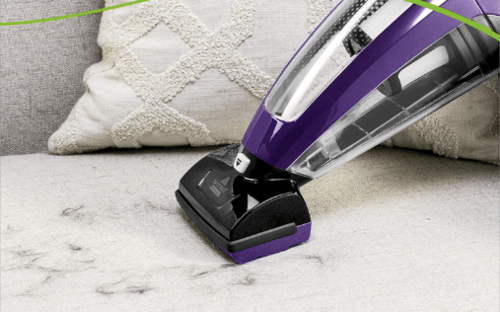 The Hoover Pet Vacuum also has the single button, bottom releasing dirt cup along with the retracting the auto cord rewind for easy cleanup and maintenance. It is a bit on the weighty and bulky side though coming in at 16.9 inches x 12.6 inches x 34.5 inches and weighs a whopping 24.2 pounds. The last on our list is certainly not the last in terms of features and capability. 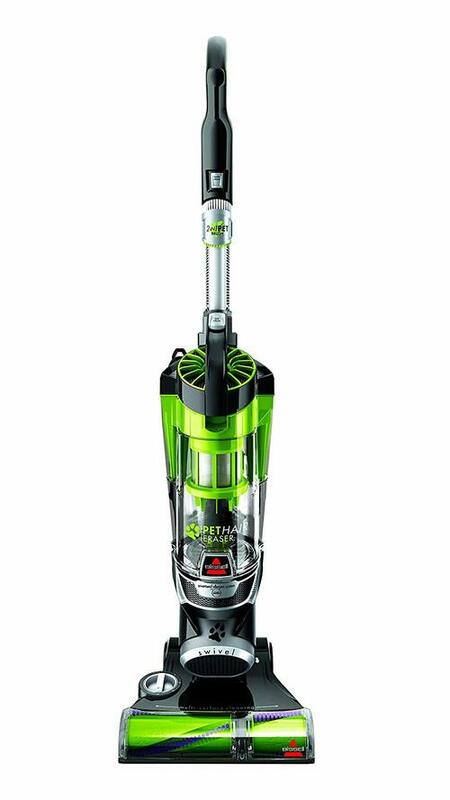 The Bissell Pet Hair Eraser 1650A Upright Vacuum with Tangle-Free Brushroll or the Bissell Cat Hair Eraser is unique because it is the first to successfully use a tangle-free brush roll in commercial vacuum cleaners. Hair-wraps or hair tangles in vacuum rollers are one of the worst problems of any pet-centered or cat used vacuum cleaners in general. Even generic vacuum cleaners see long hair as a huge problem. The Bissell Pet Hair Eraser has its own patented “Cyclonic Pet Hair Spooling System” that cleans up hair and removes them without getting tangled inside the machine itself. 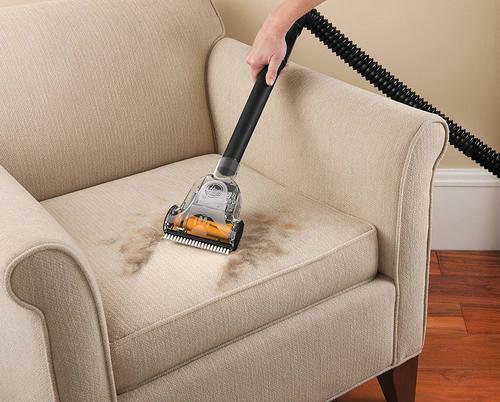 That’s why it is considered as the best vacuum for cat hair on furniture. Its cleaning nozzle is quite wide at around 12 inches, with a decent hose length of 8 feet and a power cord that stretches to an impressive 30 feet. The Bissell Cat Hair Eraser comes in at 13.5 inches x 12.4 inches x 46.8 inches and weighs in at 18 pounds. The dirt cup is also quite big at an impressive 1.5 liter and another patented Pet TurboEraser Tool that removes embedded hair from carpets and upholstery. Aside from that, the Bissell Pet Hair Eraser also has a Smart Seal Allergen System with Febreze Pet Odor Eliminator. 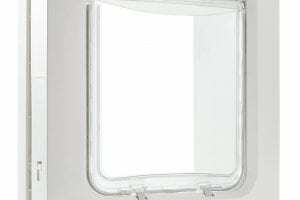 Basically, it’s a HEPA filter with a carbon filter along it to trap allergens and odor inside the vacuum. So which one among the Top-10 Best Vacuums for Cat Hair? If I had to pick? 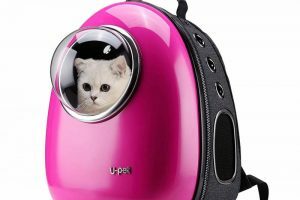 I would pick two, obviously, the robotic vacuums for cat hair would be great novelty items in the house along with any of the wireless and convertible vacuums. But that is just me because that’s what works. Our main issue is with the cars and the sofa’s and we are not so keen with rugs and carpets so that is not a big need exactly for my furry feline family. In picking a vacuum for you and your family, please be honest and consider your needs. 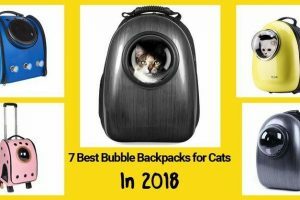 Any of the vacuums listed here are great for a household with multiple pets and multiple cats especially, do not be swayed by shiny features that you do not need. Find a vacuum for cat hair that fits what you need and buy it.